Leading Manufacturer of sandal incense stick, rose incense stick and mogra incense stick from Nadiad. We have been engaged in processing and offering a quality array of Sandal Incense Stick that is processed using top class quality ingredients and cutting-edge technologies in compliance with the set industry norms. Owing to its salient features, our offered range is highly used in various homes, temples and religious places. 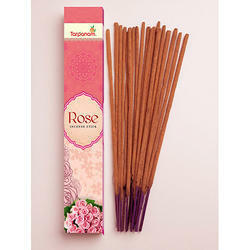 We are offering of Rose Incense Stick. Offered sticks are prepared by using technologically advanced and modern methodologies. Safe packaging, purity, and excellent quality are some of the major features of our range, which make them widely demanded by the clients. It is available at market leading prices. Highly utilized in temples and houses to keep the enduring aroma effect in the ambiance, these are inspected by our quality analyzers on various levels of parameters. Being the market leader in this domain, we offer the premium quality of Mogra Incense Stick. The soothing fragrance of sticks creates a mood of serenity, bringing tranquility and concentration of mind. 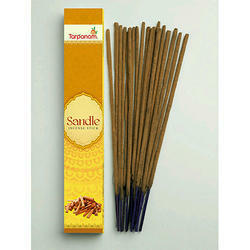 These incense sticks are ideal during pooja, prayers, spiritual sessions, meditation, yoga, and music. The sticks are also used in everyday life as air fresheners and to enliven the surroundings. Looking for Incense Sticks ?